I’ve written about the importance if having an interband agreement several times, including in 5 Big Tips That Will Save Your Band’s Tour. However, I thought I should provide a sample of how this should be done. Below is band member agreement that I use in my band. Feel free to change out details that are most appropriate to you (including how money or responsibilities are shared). I recommend having an attorney look it over; it’s a simple document that shouldn’t cost much to have reviewed. After that, get printed copies for everyone to keep. Think of this in terms of best case scenario/worst case scenario. If you make a lot of money, how would you want that distributed? If lose a lot of money or need to do a lot of work, how will that be divided? Who “owns” the band name? If the band members part ways, who gets to keep using the name? How will you divide up credit for songs and artwork? What about shared property like a band bus or PA system? 1. BAND. This contract sets forth the terms of which the individuals set forth above participate in the musical group ____[band name here______ (the “Band”). The legal entity through which the Band does business is _______________________. The “original members” of the Group are _____[list band members here]. 2. NAME AND LIKENESS: The name of the Band is “____________________” In the event of a split between the original members, the name ____________________ and its derivatives (including but not limited to logos) may continue to be used only by a group comprised of _________________ and at least one other of the original members. 3. INTELLECTUAL PROPERTY: All written music, recordings, and artwork created during the term of this Agreement by any member, belong solely to the band and may not be used by a Band member at any time without prior written permission of the Band. The individual Band members retain their songwriting rights as agreed to in writing or outlined by industry standards. ___________________ shall act as the music publisher for all music recorded or performed by the Band. (i) All expenses will be paid first, including, but not limited to Publicity, Advertising, Management, Travel, Vehicle Maintenance, Lodging, Etc. (ii) The money will be put into a general fund under _____________for normal operating expenses as well as a reserve to cover up to six months of said expenses. (iii) If no outstanding debt exists, 70% will be divided evenly between the members, 30% will be kept by ______________ as a general band fund. (iv) Band members may also vote (by majority) to distribute funds differently if the situation is more appropriate. Use of general band funds will be agreed upon by Band members and management. 4. CONTROL: Except where specifically noted otherwise in this Agreement, any Band business decision will be made by group vote with member having an equal vote and the majority rules. The group manager will break all deadlocks. Band members have no authority to enter into any agreements with any persons on behalf of the Band. 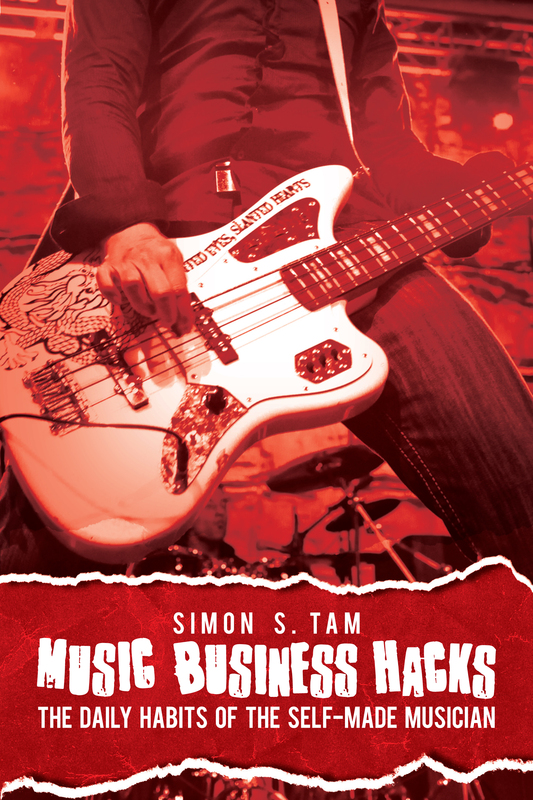 Under no circumstances are Band members allowed to talk to club owners, record labels, radio stations, etc. in relation to any Band commitment. Band members should direct all such inquires to management. 5. BAND MEMBER RESPONSIBILITIES: All members shall have the following responsibilities. Failure to perform these responsibilities shall constitute a material breach of this agreement. (v) Ensure that member conducts him/herself in an appropriate manner in all professional situations. (vi) Work the merchandise table or other appearances (interviews, panels, workshops, etc.) at times by the designated by manager. Band members shall actively promote and sell all products by the Band. (vii) Give scheduling priority to Band appearances including shows, interviews, or other requests. If the member is unable to accommodate the appearance, member must provide at least 30 days prior written notice to Band. either agreed in advance by the parties, or determined by industry standards as outlined by ASCAP guidelines. Upon termination, the terminated member shall have no rights to any other Band intangible assets or intellectual property. 7. DISTRIBUTION OF HARD ASSETS. If a member terminates his/her membership, he or she surrenders all rights in the Band’s hard assets (e.g. equipment, instruments, cash). If a member is terminated, he or she is entitled to his or her percentage of the current value of the 3hard assets that were purchased during his or her term as a member of the Band, as agreed upon by the remaining members of the Band. These hard assets include but are not limited to sound equipment, instruments, and cash, but not debt, unless the member incurred an unreasonable amount or abused his/her shared rights as a member of the Band. The current value of these hard assets will be paid out by the Band to the ex-member in lump sum at the time of firing, unless paying in lump sum would put the Band in financial distress, in which case the Band will pay out the current value of the tangible assets over the course of a reasonable period of time with interest on the unpaid balance included. This “reasonable period” will be determined at the time of the firing by balancing the needs of the terminated member with the requirement that the Band not fall into financial distress at any period in time due to the schedule of the payouts. Notwithstanding the forgoing, all equipment previously owned by Band member is solely the property of the Band member. All equipment purchased by Band Member is solely the property of Band Member. Any equipment purchased by The Band is solely the property of ____________unless an agreement is made between all members. All merchandise (Apparel, Albums, Promotional Items, etc) is solely the property of ____________ and may not be taken by Band member for any reason without permission. 8. HIRING: New Band members may be added only after a unanimous decision by the then current members. New Band members will not be considered original member. Their rights in and benefits from the Band will be decided at the time of their admission and such new member shall be required to enter into a written band member agreement prior to admission. 9. FINANCIAL CONTRIBUTIONS: Financial contributions to the Band will be required of then-current members only after a unanimous vote is reached on the specific amount. 10. INCURRING EXPENSES: Band financial spending must be approved by a group vote, with each member having an equal vote and the majority rules. Exceptions to this rule include expenses incurred by the manager as outlined by the band-manager agreement. The group manager will break deadlocks. 11. AMENDING THE BAND MEMBER AGREEMENT: The terms of this Agreement may be amended only by a Band member vote, with each original member having an equal vote and the majority rules. The group manager will break deadlocks. 12. DEATH OR DISABILITY: In the event that a Band member dies, he or she will be treated as if he or she terminated their membership. In the event that a member becomes disabled (physically, mentally, or otherwise) and is therefore unable to fulfill their role in the group, the other Band members can vote on course of action. 13. LEGAL. This Agreement is the entire agreement of the parties in relation to the subject matter hereof and my only be modified in writing as set forth herein. The Agreement shall be governed in all respects by the laws of the State of Oregon as they apply to agreements entered into and to be performed entirely within Oregon between Oregon residents, without regard to conflict of law provisions. Exclusive venue for any claim or dispute relating to this Agreement shall be the courts located in Multnomah County, Oregon.